Assassin’s Creed Origins has had fans of Ubisoft’s historical video game saga on the edge of their seats ever since the game was announced at E3 last June. This is not only due to the game’s gorgeous setting (Cleopatra’s Egypt), sumptuous graphics and gameplay innovations, but also due to the fact that this upcoming Assassin’s Creed will serve as an origin story for the franchise, explaining how the Assassin order came to be. Of course, this leaves Ubisoft having to explain how the Assassins main antagonists, the Templars came to be too… And it looks like Origins will also be shedding light on this throughout the course of the game, as Ubisoft’s latest cinematic trailer introduces the mysterious “Order of the Ancients”. And it doesn’t take much thinking to realize that this ancient Egyptian order could in fact be a sort of precursor for the Templar order featured in every Assassin’s Creed game since the original debuted in 2007. 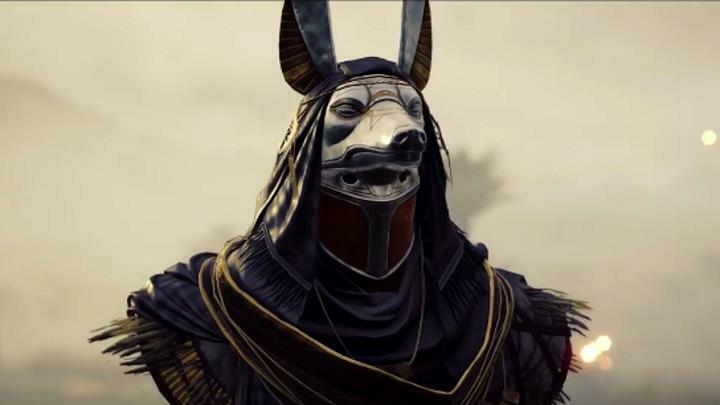 After all, their fondness for secret meetings and altering the course of events by manipulating those in power (in this case boy king Ptolemy 13) sort of gives them away… Although it remains to be seen what happens in Assassin’s Creed Origins’ story to turn the Order of the Ancients into the Templar Order players have grown to known and love (or hate, perhaps…) over the years. Here’s hoping, then, that Assassin’s Creed Origins does feature a fantastic story set during one of history’s most interesting periods and locales, and the same entertaining gameplay people have come to expect from the Assassin’s Creed franchise when it ships this fall.